Bitcoin and online poker, a perfect partnership? 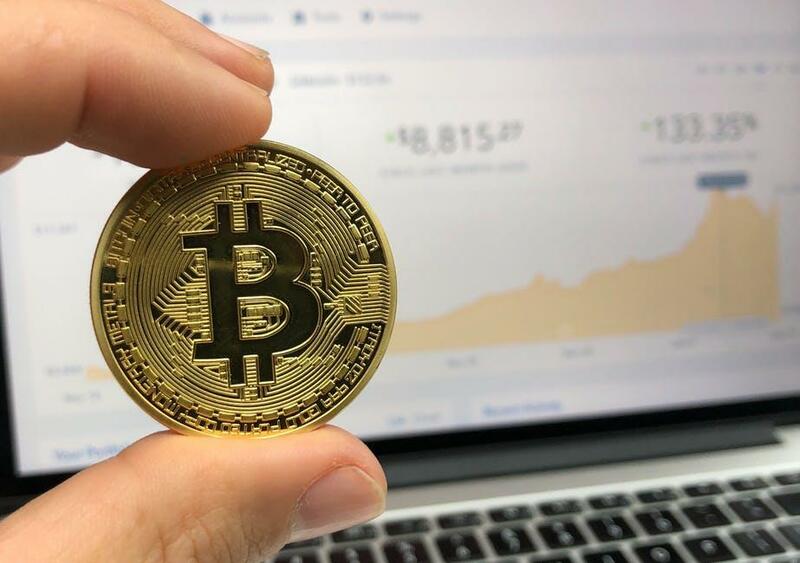 Ever since the shadowy figure, or figures, of Satoshi Nakamoto introduced the concept of the cryptocurrency to an unsuspecting world in 2008 it’s been quite a rollercoaster ride. There have been highs, there have been lows and, right now, no-one’s quite sure where things are headed. But one thing is for sure, and that that the number of Bitcoin wallet holders has shown a steady and consistent rise over the last couple of years as the once-esoteric cryptocurrency has become more well known and, consequently, more and more desirable too. With figures like these, you would expect that the cryptocurrency has started to become a genuine competitor to so-called “fiat” currencies and that it is being used more and more to exchange for goods and services. Indeed, it is, with businesses like Amazon and Dell starting to accept it as payment and there are even Bitcoin ATMs cropping up across the world too. However, one area in which it has failed to take off quite as quickly as expected is in the world of online gambling in general and online poker in particular. After all, the Bitcoin would seem to be the perfect currency in so many ways. For a start, it’s a phenomenon that has literally been designed for the digital age – and so has online gaming. Therefore, the speed at which transactions can be made with no need for any physical exchange of currency makes it seem like a very logical choice. The level of anonymity that using Bitcoin involves must surely be another very appealing aspect for online gamblers now and in the future as it means that no-one from their bank to the tax authorities can have any idea about who they are or how successful they’re being when they play. In terms of poker players, it’s this level of being able to conceal one’s identity that seems to fit in with the whole ethos of the game. A central tenet of successful play is to hide as much as possible from your opponents – hence the widespread popularity of baseball caps and dark glasses amongst the top players. Admittedly, this is not so relevant in the online game but the appeal of being to operate under cover must surely tick the same boxes for many of the players. The fact that it’s a currency that, as we’ve seen only too clearly in recent weeks, can fluctuate in value so very much in such a short space of time, should also appeal to the gambling personality. After all, when the market’s going your way it gives a chance to multiply winnings without the need to do anything apart from having the precise sense of timing of knowing just when to sell. Of course, it also gives the security of being a currency that you can hold on to until the time’s right to sell when it has regained its value after a fall. Another key factor almost purpose-made for the online player is that the transactions are not only secure thanks to the blockchain technology behind them, they are also faster than some made through banks and other financial institutions – a big point in Bitcoins’ favour when you’re ready and eager to play. For players in territories where a great deal of online gambling is not legal, for example in the US, the fact that cryptocurrency transactions are direct and need no intermediary such as a bank, also provides a vital loophole for players. It is not the actual playing of the game that is breaking the law, it’s using a bank to carry out the transaction that can get you into trouble. So, if you’re following the letter of the law, playing with Bitcoins is like playing with value-less tokens and therefore perfectly permitted. So that’s looking at the benefits of Bitcoins from the players’ perspective, how about from the point of view of the online casino businesses? Well, for them there are also a number of benefits, and the main one must surely be the security of the transaction as well as the fact that each one is irreversible. In addition, the freedom from bank charges means more profit for the online casino, which they can choose to either keep for themselves or hand a proportion back to the players in the form of bonuses and other rewards. As businesses that have relied on innovation and novelty ever since their earliest days in order to succeed, adopting this whole new of way of transacting with players certainly seems like a no-brainer. Indeed, it has been for a number of online casinos who either accept Bitcoins as one of a number of payments or which deal exclusively in cryptocurrencies. But dedicated poker sites are slower in embracing bitcoins. Yes, there are some, but far fewer than you might expect. Possibly the reason for this is caution both on the part of the casino operators and a feeling that not enough poker players would want to get involved. After all, there are still many uncertainties about when, or even whether, Bitcoins will truly enter the mainstream. This is a doubt that has surely been exacerbated by the recent move of Lloyd’s Bank to prevent its credit card customers from buying into cryptocurrencies. On the part of poker players, many will have read the negative publicity that Bitcoins have received in the past, both as a result of some of the high profile hacker attacks that have taken place and also the fear that the cryptocurrency is an investment bubble that may well burst at any time reducing its value at a stroke. Therefore, the prospects for online poker adopting Bitcoins are currently as uncertain as the outlook for the currency itself. It may well be that in a year’s time this will seem like a debate that was never worth having if cryptocurrencies have continued on with their march for universal acceptance. On the other hand, it could still be very much still up in the air. One thing is for sure though. Online poker players are going to carry on playing and they’ll always need some kind of currency to wager with.